Kristen M. Fletcher has more than 20 years experience in nonprofit and small business management. Her background includes ocean and coastal law/policy and fundraising. After serving as UnChained Board President, Deputy Director and volunteer photographer, Kristen joined UnChained as its Executive Director in 2018. Kristen is a graduate of Leadership Monterey, and she and her collie, Lady, are a Therapy Dog Team with VNA/Hospice. 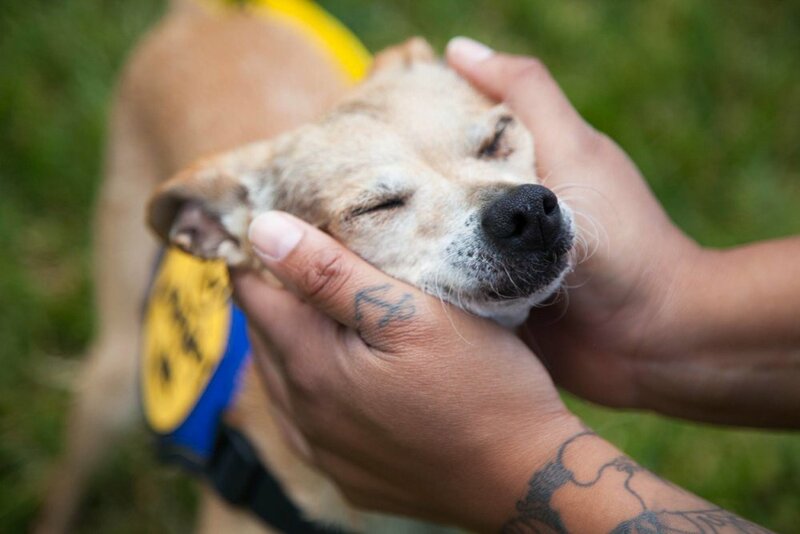 A firm believer in mindfulness and compassion, Felipe is a volunteer Foster with Peace of Mind Dog Rescue as well as a volunteer Leader with the Boy Scouts of America in Salinas, CA. Felipe believes in the power of community and the hope that springs from the hearts of children through the boundless love of our canine companions. Johanna (aka JoJo) was born and raised in Sweden and after years of traveling, came to California in 2006. Animals are a huge part of her life: she grew up riding horses and has worked with zoo animals, marine mammals, and racehorses. Johanna has been a veterinary technician for the past 14 years (shelter, emergency and companion animal hospitals) and started training dogs professionally in 2010. She enjoys her furkids: two horses, three dogs, and two cats. Nikki is a Community Health Worker who specializes in human and dog behavioral health. She started her career in emergency veterinary medicine in 2004 and has since worked in special education classrooms, agencies that serve adults with severe mental illness, and juvenile detention facilities. Karen is a certified Dog Trainer who also volunteers at the Salinas Animal Shelter. After training for 7 years, Karen now helps the next generation of humans train the pups of tomorrow with UnChained. Walt runs a professional dog training business in Santa Clara, CA and has been training dogs professionally since 1962. Walt loves cruising on his motorcycle, sailing, playing the ukulele and his keyboard. Lou's experience includes both youth development and dog rescue, having worked for several government and non-profit organizations in Monterey County. She is currently volunteering for South County Animal Rescue (SCAR) and is on the Board of Friends of Community Animal Services (FoCAS). Lou's favorite activity is walking her foster dogs in the vineyards surrounding her house and witnessing the true joy of dogs living unchained.